It only takes one spark to light a fire. Or a wildfire. At least that's the way it was with Author Insight. I had no idea that it take off the way it did, and now here I am posting that the third round will start in a matter of weeks! Things have been pretty hectic in my life lately, so I've been doing my best to prepare. What does it take to prepare for Author Insight, you ask? The answer is a few dozen emails, lots of coordination and organization, and countless hours of brain racking in order to come up with 16 questions that have nothing to with inspiration, favorite colors, or what kind of snack food a person would be. But I've only had the chance to do about a third of that prep work for this upcoming round, so I've decided to enlist your help! I created this feature to promote authors and their books and provide readers with quick quotable wisdom about writing and publishing from those who know it best. It sounds cornny, but Author Insight really belongs to you and I want you to stay involved. Authors, this is a casting call! If you're reading this, I'm still looking for more people to participate in the upcoming round of Author Insight. Check out the Author Insight page to see what the posts look like if you aren't familiar. I'd also like to start a list of authors who are interested in participating in the future along with your book release dates so I can get you into the right round. I want you to get the most exposure you can out of this. If you're interested in this round or a future one, please shoot me an email. Readers, I want to know what you want to hear from the authors this go around. I have my questions in mind, but I'm always open to suggestions. It can be about reading, writing, the publishing industry, or anything else you might want to ask an author about. 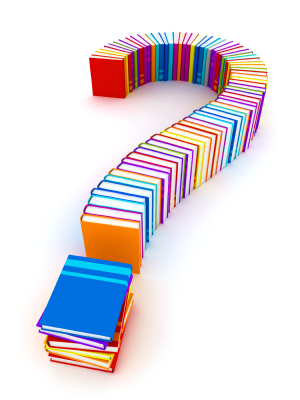 My only requests are that questions be substantive and something that any author could answer. So if you have a question, leave it in the comments and I may add it to the list. The involvement of authors and readers is what has made this feature great, and I look forward to your continued support. I've always wondered how writers get to know their characters. Like, what methods do they use to find out their character's personality traits? And the questions so far have been awesomely helpful!